AGL, formerly known as the Australian Gas Light Company, has been in existence for over 180 years, being founded in Sydney in 1837. As the second company to be listed on the Sydney Stock Exchange, it is not only steeped in history, but is recognized as an organization that readily adapts to customer and market changes. Today, AGL Energy Limited is involved in both the generation and retailing of electricity and gas for residential and commercial use. AGL Energy's Torrens Island Power Station (TIPS) is located on Torrens Island in South Australia, 18km from Adelaide’s CBD. The 'A' station became operational in 1967, with the 'B' station completed in 1981. The station burns natural gas in boilers to generate steam, which drives the eight turbines to generate electricity with a total nameplate capacity of 1,280MW. 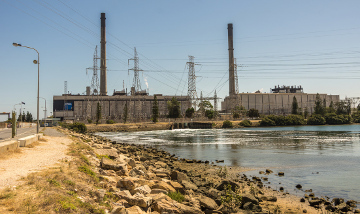 As the largest power station in South Australia, it is a critical asset, even more so in light of the power generation challenges encountered by the state in recent years. The team at TIPS have always prided themselves on the depth of their generation and operations knowledge, keeping the station running at optimal performance at all times. In striving to move to the next level, they decided to explore the possibility of implementing a process simulator, or digital twin, in 2013. When evaluating their requirements, the team at TIPS took a number of factors into consideration. 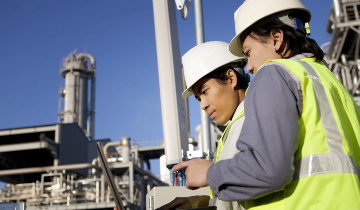 Not only did they want rigorous training for operators in all aspects of unit, common and local plant operations, they needed to ensure that failure and malfunction situations were addressed quickly and efficiently. Such failures and malfunctions would need investigating to identify root causes and prevent any repetition. Another crucial aspect was the testing of control and logic modifications, or proposed alterations to plant operating regime (such as different burner patterns, lower minimum load, higher ramp rates, etc.) without having a detrimental impact on operations. Being able to test process and equipment modification scenarios using live plant data, yet without affecting operations was a huge attraction to the TIPS team. With all this in mind, and following a rigorous evaluation process, AGL selected Yokogawa’s Plant+ as the process simulator of choice. Yokogawa Australia and New Zealand has been developing and implementing high fidelity dynamic simulators for the process industries for over 20 years. With a dedicated design and development group based in Sydney, Yokogawa has provided leading edge operator training and process optimization simulators to both domestic and overseas markets. These simulators have improved operational efficiency and safety in the power generation, oil & gas, and mining sectors. With the decision made, AGL engineers moved quickly to implement, completing installation of their new digital twin in 2016. Although one of the initial plans was just to train plant operators, they were conscious of not falling onto the trap many do in just using the simulator as an operator training simulator (OTS). Due to time or resource pressures, few process simulator owners take advantage of the full capabilities a digital twin can provide. The team at TIPS however, had far greater plans, starting with investigations into effects on unit operations when running without a boiler combustion air preheater. Air heaters are an important component of unit operations from an efficiency perspective. Yet they also require a great deal of maintenance to ensure they are working correctly, with unit efficiency significantly affected when not functioning correctly. In periods of high demand, it is not possible to go offline to resolve issues with air heaters, as the financial implications of doing so would be significant. Yet if an air heater failed during periods of high demand, or an air heater was not functioning at all, what would be the effect of running a unit without the heater? This was a scenario that AGL, made a decision to test using their digital twin. There was the very real possibility that one unit may have to run without the air heater during summer. To ascertain the impact on the unit, TIPS conducted testing on the simulator to determine the effects on the process and also define the limitations for the boiler and turbine. "Obviously the unit would not achieve full output, but we needed to establish where the point at which the unit could be run safely and economically." Using one of the operational units to test this just wasn't feasible; similarly firing up the affected unit without having a clear understanding of the implications was out of the question. However, the process simulator is an ideal tool to try out the changes replicating operations to a high degree. Knowing that they could run multiple scenarios of unit operations without an air heater and monitor the impact on operations was ideal. The team looked at several ways to run the 200MW unit without an air heater, eventually deciding to run the unit at 100MW. Then, the idea was to slowly remove the (model) mass and surface area of the air heater until only a 2-degree heat exchange transpired, which was seen as being the best outcome. Later removing this restriction, AGL could simulate less backpressure on the forced draft fans. Next, the unit was taken through all loads up to 160MW with a reduced ramp rate without any issues. 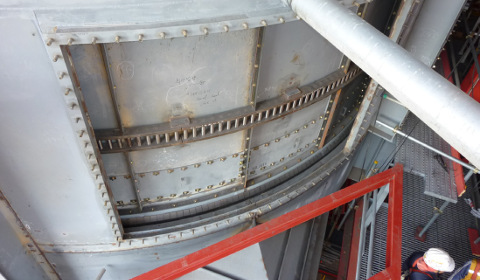 Without restriction, several boiler purges were then performed successfully and once more the expected results were observed, with lower windbox pressures for given fan positions. Using their digital twin, TIPS confirmed their belief that running without an air heater would be possible. Not an ideal scenario, but knowing they can operate the affected unit to meet consumer demand in the short term and even operate other units without air heaters for short periods provides options. 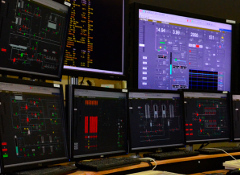 In the pressurized and high profile environment of power generation in South Australia, AGL's adoption of a digital twin has provided clear evidence that process performance can be optimized in response to plant constraints.